Being a college student, it can be stressful to be thrifty and stay on budget throughout the semester. There can be interviews, social events, and many occasions for a new outfit. In between, living in a rental, I like to redecorate my room and living space with my roommates. Spending money at the mall, popular house décor stores, Target, or discount stores, such as Homegoods, can add up quickly. Fortunately, I have discovered thrift stores. Boca has a wide variety of thrift stores that serve many different purposes. 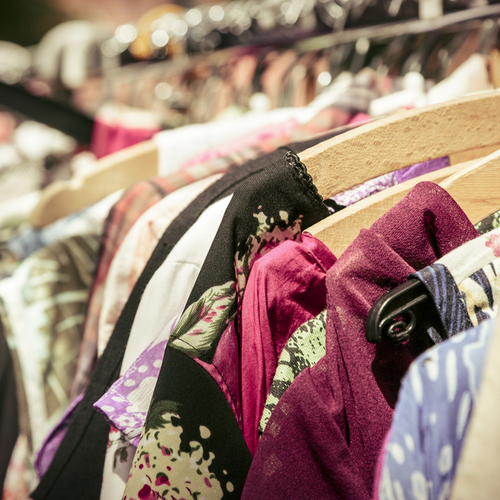 Whether you’re looking for furniture, vintage pieces, flannels, or business attire, Boca thrift stores have it all. Many of the thrift stores around FAU are not for profit and support a good cause so not only are you getting some great deals, but you can also feel good about where your money is going. There are also thrift stores that allow you to sell your old clothes and furnishings for cash. If you are in a sorority or fraternity, thrifting is a great way to buy outfits for the never-ending date functions and themed events. Check out the thrift stores below if you’re looking for great deals at even better prices. Family Safe Haven Thrift – 146 NW 20th St, Boca Raton, FL 33431. Closes at 5 pm. 561-368-3339. A good selection of used clothes, technology items, and furniture for extremely low prices. Levis JCC Thrift Store – 141 NW 20th St, Boca Raton, FL 33431. Closes at 5 pm. 561-368-3665. Conveniently close to campus, has a large array of furniture, perfect for finding cheap items to put in your dorm or apartment. Past Perfect Consignment Showroom – 108 NW 20th ST, Boca Raton, FL 33431. Closes at 5 pm. 561-338-5656. Located on 20th St. so it is extremely close to campus. Another great place to find used furniture in good conditions. My friends have purchased couches here for low prices. Goodwill Boca Boutique & Donation Center – 1662 N Federal Highway, Boca Raton, FL 33432. Closes at 7 pm. 561-362-8662. Another great store to thrift at that is relatively close to campus, should take less than 10 minutes. While their merchandise is in great condition, it is known for the prices to be a little bit higher here. Plato’s Closet – 2240 NW 19th Street, #1207, Boca Raton, FL 33431 Closes at 9:00 pm, 6 pm on Saturdays. 561-392-7075. Second hand trendy, designer styles. clothes, shoes, handbags, and accessories. They will even buy gently-used style. They tend to be very picky about what they accept if you are selling clothes.